Last night I was watching Food Networks “Best Thing I Ever Ate: Christmas Special.” This show is a bit different than the typical Food Network shows as it has the chefs telling us where they like to eat and the best thing they ever ate (each episode changes it could be chocolate dish, appetizer, eggs etc). 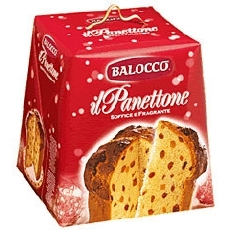 So last night was the Christmas special and Giada de Laurentiis, Food Network’s Italian beauty was talking about her Christmas staple – panettone. 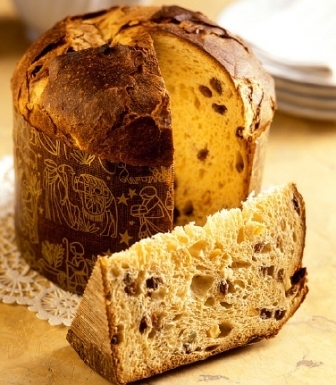 Panettone is a traditional Christmas & New Year sweet bread loaf that originated in Milan. It is enjoyed in Italy, Malta, Brazil, Switzerland, and South America, and is one of the symbols of the city of Milan. It truly is a Christmas dinner staple. 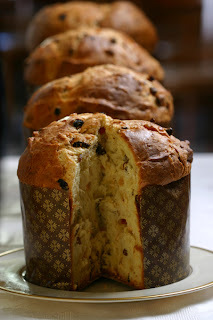 Giada regaled us of what panettone meant to her, but she also told us that instead of making this difficult cake she likes to head to Emporio Rulli in California for this “blissful” dessert. This yummy Italian dessert is one that our neighbours have given us every year at Christmas and something I always look forward too. Perfect with a cup of coffee or espresso, or even turned into a bread pudding, panettone is a wonderful Christmas dessert!